From standard divans to models with practical storage options. 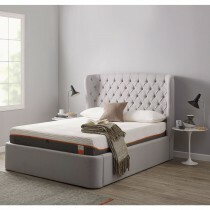 TEMPUR are pleased to offer you bed bases upholstered in a range of classic plains or contemporary styled fabrics. So why not match your mattress with a supportive base unit to get a truly relaxing night’s sleep? Flush fitting headboards also available for that final finishing touch.